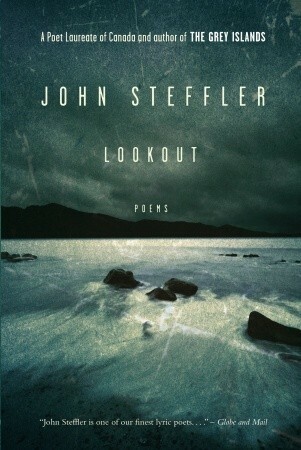 The first collection of new poems in more than a decade from one of Canada’s most respected poets The poems in John Steffler’s new collection are enlivened by the same muscular acts of attention that characterize his earlier books. As always, his poems inhabit experience fully, senses on high alert, transmitting the abundance and turbulence of physical existence; they areThe first collection of new poems in more than a decade from one of Canada’s most respected poets The poems in John Steffler’s new collection are enlivened by the same muscular acts of attention that characterize his earlier books. As always, his poems inhabit experience fully, senses on high alert, transmitting the abundance and turbulence of physical existence; they are charged with the raw Eros of being. Nowhere is there a more complete nature poet: attuned, robust, honest, fully informal, and emotionally candid, brimming with energy and animal spirits. Many of the poems in Lookout explore and evoke specific landscapes: the limestone barrens of Newfoundland; the Blomidon and Lewis Hills; the Greek Islands. Others dwell on personal relationships: lover, pregnant daughter, and a touching, finely tuned sequence on a family coping with a mother’s Alzheimer’s. There is also a wonderful set of meditations on photographs from the archives in Newfoundland. Canadian literature is blessed – and animated – by John Steffler’s contributions to it. Enjoying this - just read the section "Once" about Steffler's observations of his aging parents.